A study published in the journal, Nature Climate Change, says though revegetation of degraded landscapes helps in controlling floods and conserving soil, it comes with its own set of problems. Drawing the example of the semi-arid Loess Plateau region in China, the study adds that expansion of vegetation cover in areas marked by limited water availability creates “conflicting demands for water between the ecosystem and humans”. 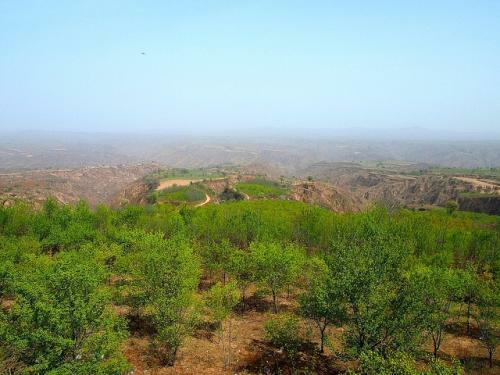 Revegetation has been practised on the Loess Plateau since 1999 as part of the “Grain to Green” programme (GTGP). According to Sally Bunning, land resources officer at the Food and Agriculture Organization (FAO) in Rome, revegetation is the process of allowing the natural regeneration or replanting of degraded areas where vegetation cover, biodiversity and soil properties have been negatively affected through human activities such as unsustainable agriculture, grazing and forestry activities or extreme events such as drought, flood and landslides. Under revegetation, the aim is to restore protective vegetation cover and useful plant species to restore soil, biodiversity and the range of ecosystem services that the land provides. “With the expanding world population and improvement in living conditions there is an increasing pressure on limited and increasingly degraded land and water resources…land restoration should be encouraged from farm to landscape level wherever the protective vegetation and soil have been degraded,” Bunning told Down To Earth. The plateau region in China’s northwest is home to more than 50 million people, according to the World Bank data. It is marked by dry, powdery and wind-blown soil. 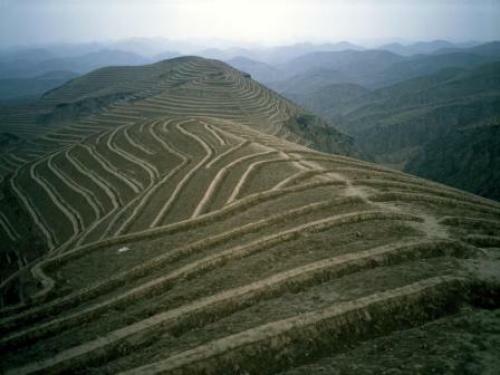 Centuries of overuse and overgrazing has led to one of the highest erosion rates in this part of the world. “Certain soils are more vulnerable to erosion by water and wind than others, especially Loess soils that comprise silt sediment that has been deposited by wind storms over the ages. These soils have minimal soil organic matter or soil structure to hold together the fine silt particles which are fertile, but can be easily transported by wind and water,” Li He, natural resources officer, water resources development and conservation, FAO, Bangkok, says. The GTGP was aimed at making the plateau region agriculturally sustainable. It is the largest ecological restoration programme ever implemented in a developing country. Since 1999, approximately US $ 8.7 billion has been invested to convert previously cultivated land to perennial non-native vegetation. In vulnerable steep mountain slopes or fragile drylands, particular efforts and investments are needed for soil and water conservation, Bunning says. As a positive sign of revegetation, more than 2.5 million people in four of China’s poorest provinces—Shanxi, Shaanxi and Gansu, as well as the Inner Mongolia Autonomous Region—were lifted out of poverty. Though revegtation has its own merits, newly planted vegetation cover needs water, nutrients, light and carbon dioxide to grow. Water demand of a newly-planted ecosystem is of particular concern in the seasonally dry areas that cover 47 per cent of the global land area. In these areas, ecosystems and humans both depend on precipitation for water. Thus, balancing vegetation productivity and water use by humans is critical to promote sustainable management of revegetation programmes. Water demand from residential, agricultural and industrial sectors has increased by 4 per cent per year over the same time as the area of new planting has expanded, and only 30 per cent of this water demand is met from sources outside the region, the study adds. Analysis suggests that although the GTGP has contributed to increasing vegetation productivity, this has been at the cost of an already-detectable reduction in river runoff. Continuing revegetation will inevitably reduce the water available for human use to less than the amount required. At the same time, climate change and elevated CO2 adds an uncertainty. The GTGP has the potential to help mitigate climate change. But the increased water demand in the Loess Plateau region is approaching a level that will impact availability to meet human demand, the study points out. FAO’s ongoing technical cooperation project, Promotion of Climate-Smart Agriculture through the Improvement of Water Resources Utilisation in Arid Areas of Shaanxi Province, promotes arid farming practices with pragmatic technical solutions. This project is analysing the impacts of improved soil and water management practices on the consumed water fraction by introducing water accounting to guide and measure water savings, a former FAO expert says. I have seen several videos on this project and it never occured to me as a problem. The struggle between sustainability and development is inavitable. The project still comes out as a winner in terms of cost and effect.